I’m really looking forward to the ending of Gotham. It’s not that I want it to end (though a strong argument could be made that the show has pretty much run its course), but I love when shows have a chance to finish instead of suffering the endless cliffhanger fate that is better known as cancellation. One of the big plot threads going on in the final season of Gotham will revolve around Batman Baddie - Bane, as played by Shane West. Some photos of the character leaked online yesterday, but now we’ve got our first official image of him and there is really no better way to describe him than steampunk Darth Vader. I get it. 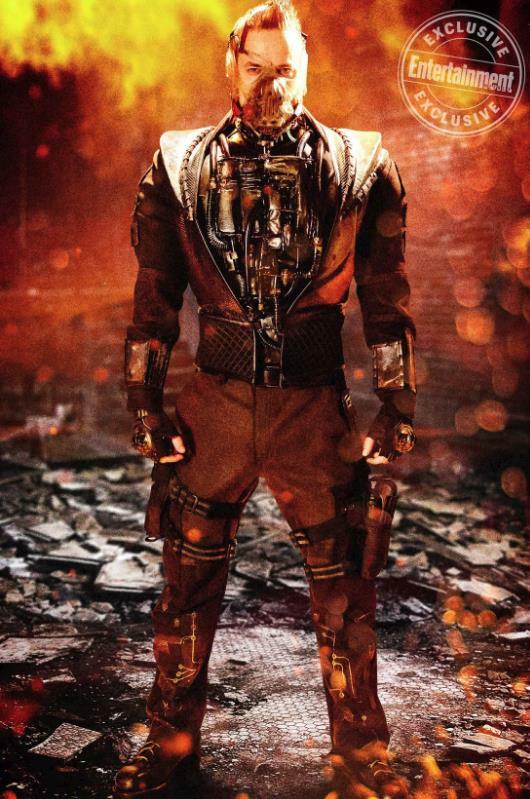 Bane can’t help but look a bit goofy given the whole mask thing, but something about this just feels like lazy cosplay. In this version of the story, Bane will be Eduardo Dorrance, a former Army friend of Jim Gordon’s/ turned supervillain. We don’t know how he’ll factor into the No Man’s Land inspired story for the new season or whether we’ll see him snap Bruce Wayne/ Batman’s spine as he so famously did in both the comics and the movies.